Gold futures resumed their sharp drop Thursday after the previous session’s brief respite, plumbing 4 1/2-month lows as the dollar firmed, bitcoin surged and the S&P 500 tried to snap a four-day slide. February gold GCG8, -0.67% fell $9.70, or 0.8%, to $1,256.60 an ounce. A close at these levels would mark the lowest since late July as gold was down nearly 2% for the week. The SPDR Gold Trust ETF GLD, -0.69% fell by 0.8% premarket. The VanEck Vectors Gold Miners ETF GDX, -1.48% was down 1.3%. The ICE U.S. Dollar index DXY, +0.21% was up 0.3%, adding to its 0.7% gain so far this month after ending November roughly 1.6% lower. Stocks SPX, -0.01% remained focused on Washington developments and select earnings. 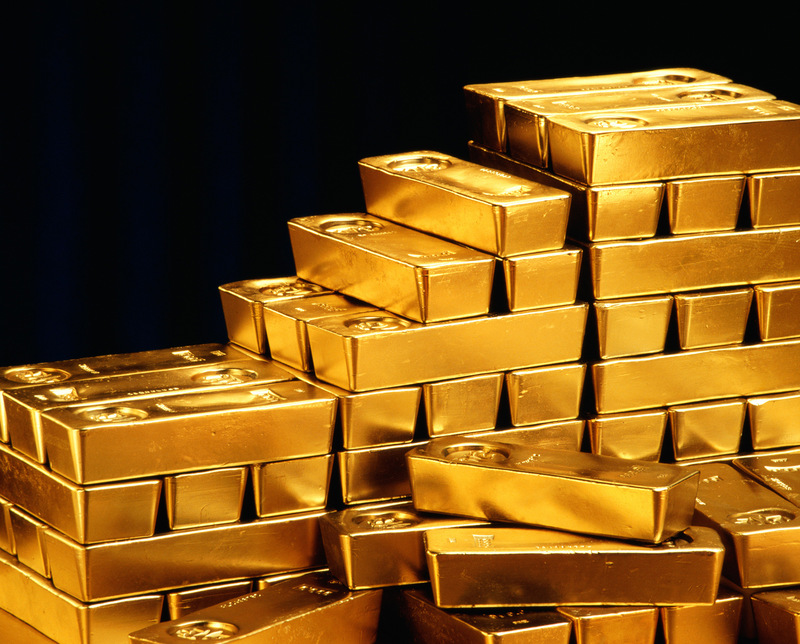 The yellow metal often moves inversely to the dollar and riskier assets including stocks. Investors await Friday’s nonfarm payrolls report for further clues on employment ahead of the Federal Reserve’s two-day meeting wrapping Wednesday next week. Markets widely expect a rate hike at that meeting and are hungry for clues about the likelihood of follow-up hikes next year. higher rates cut demand for nonyielding bullion. However, haven demand could underpin the metal. Gold’s rally Wednesday was tied to concerns in the U.S. about the potential for a partial government shutdown, and the Trump administration’s decision to recognize Jerusalem as Israel’s capital threatens to spark unrest across the Mideast. In addition, investors continued to keep an eye out for developments in the Brexit talks after U.K. and European Union officials on Monday failed to reach a deal that would move negotiations on to the second stage. Meanwhile, March silver SIH8, -0.63% fell 9 cents, or 0.6% to $15.865 an ounce. The iShares Silver Trust SLV, -1.71% shed 0.8%. March copper HGH8, +0.15% bucked the trend, rising just over a penny, or 0.5%, to $2.976 a pound. January platinum PLF8, -0.55% fell 0.3% to $899.80 an ounce, while March palladium PAH8, +0.93% added 1% to $996.45 an ounce.